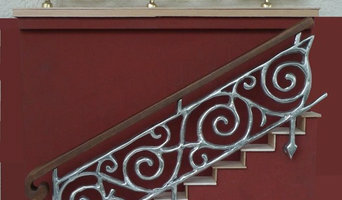 Decorative painter: I love what I do and have a hard time considering it a job. I get to be creative for a living. 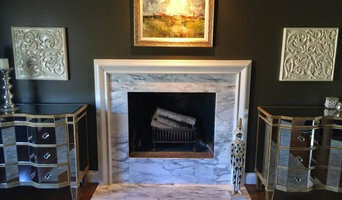 I love all aspects of faux finishing and I'm always looking for new and inventive ways to create beautiful works of art for your home. I am a contemporary impressionist artist based in Cincinnati, Ohio. 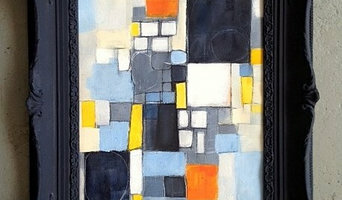 I specialize in creating custom paintings for interiors. 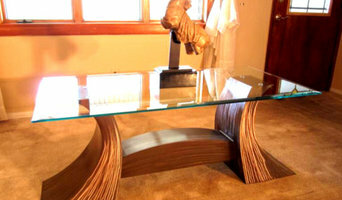 I enjoy working alongside designers and clients to create the perfect piece to fit their needs. Currently, I am partnered with the following galleries representing my work: Hoffman & Albers Interiors, David A Millett, Erin Wachs Gallery & William Effler Fine Jeweler. CREAMOS PIEZAS ORIGINALES Y SINGULARES QUE APORTAN DISTINCIÓN .BUSCAMOS SALIR DE LO ESTANDAR Y PREFERIMOS DISFRUTAR HACIENDO TRABAJOS ÚNICOS . Custom paintings and calligraphy work for your home. Let us use your walls and ceilings to add a little color to your life. 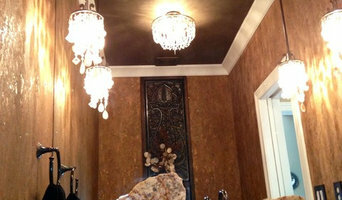 Broad Spectrum creates innovative faux finishes and murals on walls and ceilings. BROAD SPECTRUM believes that every space should promote the comfort and activity of its occupants. We work closely with our clients to identify how we can create custom designs to make their living or work environments more enjoyable and inspiring to be in. At BROAD SPECTRUM, we focus on customer service, quality and professionalism. Our creativity, versatility, and ability to merge aesthetics and practicality distinguish us in our field.